https://www.beavercreeknewscurrent.com/wp-content/uploads/sites/49/2018/11/web1_181113-F-ME052-005.jpgSubmitted photo Left to right, Capt. Tim Shaw, Capt. John Lipscomb, Staff Sgt. Dakota Herndon and Tech Sgt. 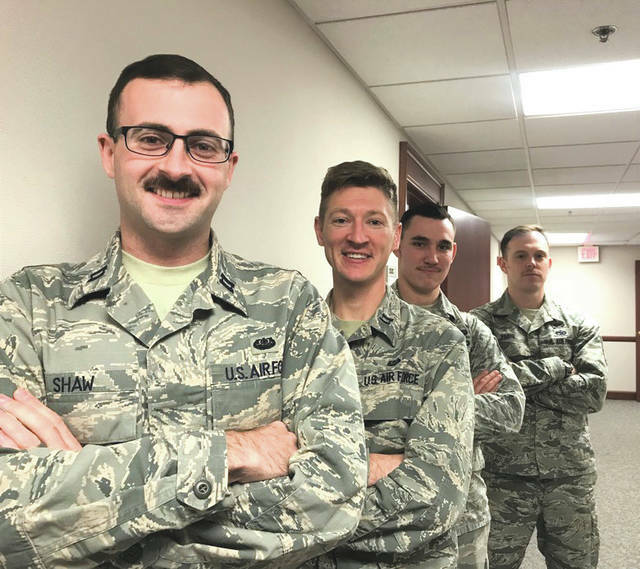 Matt Paris and from the 88th Air Base Wing Judge Advocates office, are growing mustaches in support of Mustache Movember. Movember is an annual event of growing mustaches during the month of November to bring awareness to men’s health issues such as prostate, testicular cancer and mental health.